It was a sustained assault that made you feel like you were watching the best punk band there had ever been, only with stellar added melodies. 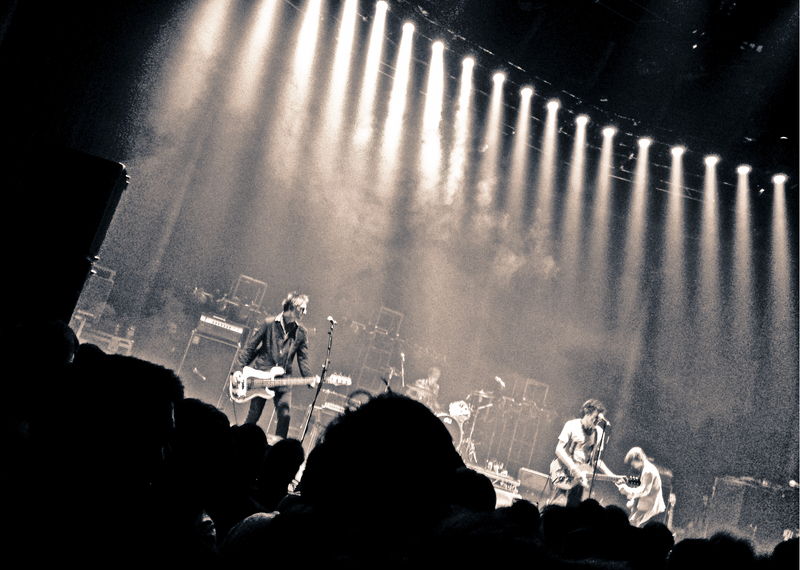 Westerberg is a force to behold: a cracking guitarist with a real signature sound (the intro music was The Faces – Westerberg would have fitted in with them pretty well); a great lyricist whose songs are still a perfect fit 30 years on; and a fantastic front man, funny and fearless. The heartbeat bass of Tommy Stinson – looking like a scarecrow Sid Vicious – was on the money in every song, and he seemed delirious with the pleasure of having virtually every person in the room singing the songs back at them. And that’s not to mention (no-one does in any of the reviews I’ve found) the sizeable contributions of second guitarist Dave Minehan and drummer Josh Freese, who powers the whole thing with unstinting energy and precision. It was joyful, totally joyful. Ever wondered where the ubiquitous Nokia Ringtone came from? Mr Hyde (Shortlist magazine’s email newsletter) tells us. It’s at 0:12. 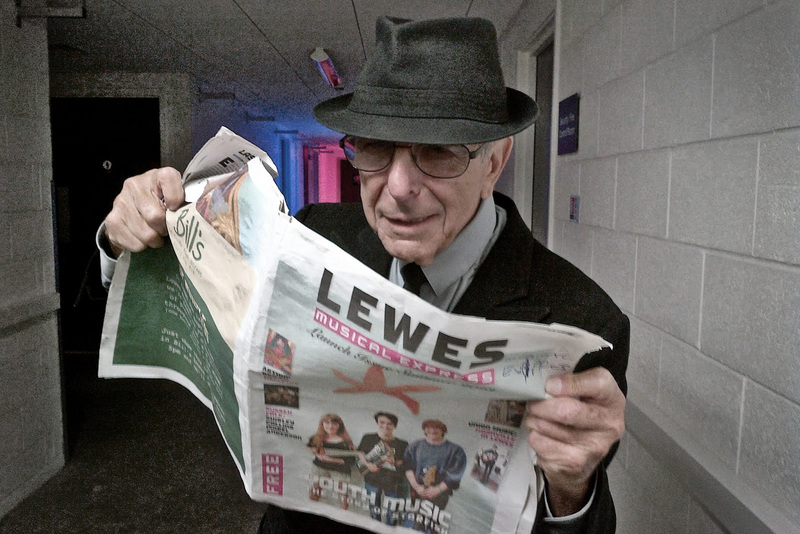 That John May has started a free newspaper in Brighton following on from his success doing the same in Lewes (see fan, L Cohen pictured below). Hats off to a really nice design job by Raphael Whittle, too. John got in touch to find out about Doug Dobell’s short-lived Brighton Record Shop, as I have various photos of it, taken by my dad. I remembered everything I could, then checked with my mum, who revealed that I was wrong on nearly every count. There – that shows you the importance of primary research. John’s CV is extremely impressive, and now that I’ve discovered his blog, The Generalist, I may have to take time off work wondering back through its archive. An interesting, but slightly underdeveloped, film – the NS story in 30 minutes? Please! Best section comes when she goes to meet Al Shackman, who played guitar with Simone for years. With Bush Ranger hat and a barely-amped 335, he shares fascinating memories before they tiptoe through Rogers & Hart’s “Little Girl Blue” rather exquisitely. At one point they show the original Bethlehem cover of her first album, with its wonderful tagline: “Jazz as played in an Exclusive Side Street Club” over a photo of Nina in Central Park wrapped in a blanket. Looking for it I found the second album with another photo from the Central Park shoot. “An intimate variety of vocal charm”. You said it, brother. Talking back and forth with my friend Graham, after he had played the Rubaiyats “Omar Khayyam” to open a recent episode of his excellent weekly radio show, The Eclectic Eel (which can be found on Mixcloud), I discover from him that it’s by Allen Toussaint. How many strings can one man have to his bow? If Five Things had a radio show, the Eel would be it – “music and sounds from across genres, eras and continents”. What were they playing, Tim? “Someone Take The Wheel“ perhaps? Maybe it’s the only song they know… or the best tune to make people feel jolly enough to part with cash? You make a great point about the rest of the band. Perhaps the solid backbone that allowed Westerberg to relax a little this time around, and which he may not have had thirty years ago? I think that’s true, but obviously not enough to avoid breaking up the band two days later!